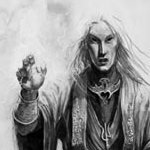 Ulthuan • View topic - Aggressive high elves? Post subject: Aggressive high elves? I saw Fenreir mention aggressive high elves. Considering the proliferation of character snipes, denial armies and hammering of busses, what do aggressive high elves look like? Dragon princes and a star dragon? Double frosty and a dragon mage? I like the idea, but it seems like it'd get out ground by chaos armies and shot to hell by dark elves. Post subject: Re: Aggressive high elves? Probably anything with a Star Dragon, a Frostheart and a decent block of PG denial. Curu Olannan explains this type of army, and strategy, in detail in this article http://www.ulthuan.net/forum/viewtopic.php?f=75&t=67781. I've found these aggressive armies to be very effective, but unforgiving. You really need to make good decisions consistently. I actually think this type of army matches up quite well to chaos warriors and dark elves, depending on the lists. But if you are bringing a dragon, cannons are going to be a real problem for you. I think the key to the game at the moment is mobility. I guess you could argue it always has been but especially with new characters a lot of infantry based builds that can't get out of the way of the monster-mash just get steam rolled. Luckily HE have awesome mobile and aggressive units. I think the others hit the nail on the head with the Dragon but SH bus builds, Annointed on Flamespyres and others can also work. I'm seeing stuff like Blasted Standard Warriors or Plaguebearer-star. But those are Core and HE don't have strong Core infantry. You can build with Special but then you spend 600+pts on Core, which all leaves fewer points for those nasty characters that WoC for example can spam. Which all tends to point towards the Helm bus IMHO. Thanks for the replies all. Mobility seems to be key in all of this. I reread Curu's article on the subject and got a sense of his take on how to play the list. I'd be willing to bet that the increase in warrior/PB stars is a function of the increased popularity of swedish-comp, rather than over-all viability of the choices. What system are you looking at playing in? These lists, or close variants of them have been doing very well on the UK uncomped\light comped scene recently. Not the End Times scene though, which is being eaten alive by HOTEK, even under comp. I guess a HE list taking inspiration would load up on PG (add mage(s), Loremaster, maybe Anointed). But what to do with the Core? Is there a good alternative to the big Helms here for an aggressive list? But what to do with the Core? Is there a good alternative to the big Helms here for an aggressive list? Very good question. I think no. If you want to play super aggressive, a silver helm bus with reavers is the only way in core. However as it has already been mentioned, playing very aggressively has definitely its downfalls. It is a very all or nothing approach which easily can end up being a 0-20 because your opponent was rolling great with his artillery dice or you made a crucial mistake. On the other hand, it can also completely table an opponent, which a lot of other builds can't. That's a very good point, Spellarcher, thanks for posting those! I do wonder what happens when the unstoppable force hits the immovable object. From reading Curu's article, it seems like the goal of an aggressive list is to get big points, but in this case, you're up against something that's designed to not give them up. Demons/BotWD excluded, I wonder how that would shake out. Kill the characters and play for a 14-6? I guess it depends what list you're bringing ED. Against some armies for example, the magical firepower of Kairos backed up by the Skillcannon (does anyone ever call them by the real name?) lets the PB's sit back and watch. Against others they push. I would imagine the Regen makes them slow going for a Star Dragon on it's own. I think you have to get lucky to nail Kairos. Of course you need to deal with the cannon. Again, vs some lists the Warriors can sit back and let the characters pick off points, against others they push. They are vulnerable to the Dragon though, exacerbated by OTS. The Disc lords are hard to take down (especially with Crown) but the other elements can be beaten up for big points if the HE player gets it right IMHO. I do wonder what happens when the unstoppable force hits the immovable object. It tends not to be a case of the unstoppable force hitting the object but rather missing it, via chaff(lizards), fast evasion units(DE) or arcs of death(Dwarf gunlines). Then one of two things tend to happen, the aggressive army pushes and 90% of the time loses big but 10% of the time breaks through and gets the win or they hold back(stick it all in a corner) and maybe lose 8-12 unless their opponent gets greedy and over extends when they can get a big win by moving out in the second half of the game. Any(good) build can table an opponent but an aggressive build can do it in 3-4 turns rather than 6. This is all too general and abstract to bring any real value. Aggressive High Elves in an End Times meta is completely different to aggressive High Elves in an ETC meta for example. We need to know in what context you want to make this work in order to discuss how it can be done. Well, I'm talking about a light comp environment sans End Times. I'm guessing Irishranger's referring to ETC? I don't think ED is asking about Swedish, from what he wrote? I take your point Curu but the most successful HE lists under End Times seem to involve Teclis and he's unlikely to be rushing the enemy. While my list at Sheffield wasn't strictly speaking pure High Elf, it had tons of HE elements. I think Alarielle also makes for interesting combos, potentially aggressive ones, not to mention Tyrion (for the latter 2: End Times versions). But yeah, Teclis is just super powerful if he can hide away in a tower. The point is: Context is everything. Advicing someone to bring a star dragon is suicide in ET but could be sound advice for ETC.